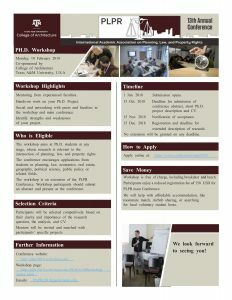 The submission deadline for the upcoming PLPR PhD workshop is approaching soon. Please upload your abstract until 15th Oct. latest. More information here.